I just wanted to pop in a let you all know of a fabulous giveaway my good friend Jessica is hosting on her blog. 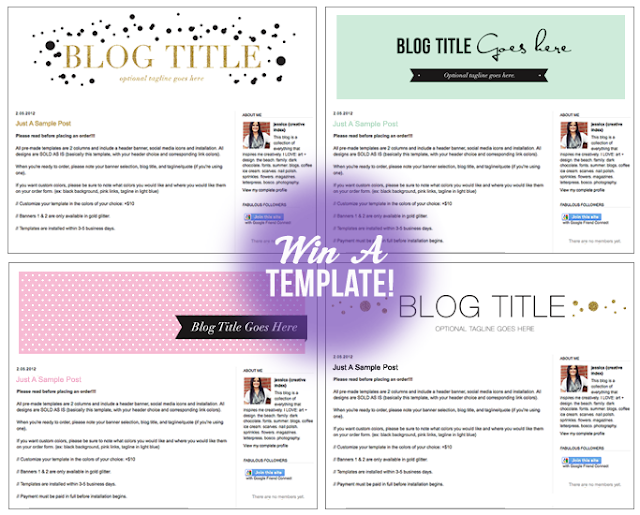 She is the brains behind my current layout, and lucky for you she is giving away the chance to win a free template on her blog. Trust me, they are gor-geous! So what are you waiting for? Head on over to Creative Index and sign your little butts up! don't worry if you don't win, Jessica has plenty of creativity to go around!